We are two qualified freelance translators – our native languages are English and Spanish – who offer translation / proofreading and other services for all your needs, at unbeatable prices. We offer an excellent service, timely delivery, urgent translation services and payment guarantees. If you require any other service that is not listed list, please get in touch with us. Although Spain, as its current government insists, is clearly coming out of the crisis, it is likely you don’t need to send many emails there yet. But Latin America’s business and international industry is expanding and is a fast growing importer of engineering products and a big exporter of oil and gas, just to name some of the most internationally significant sectors. English is often spoken and understood in Latin America, but the ability to communicate in Spanish does make business transactions easier and more fluid, and can only bring advantages to companies that make the effort. 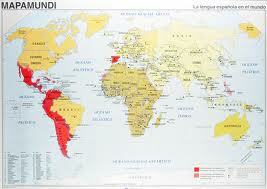 440 million people speak Spanish (USA, Latin America and Spain). We offer a very complete service to help with the transition of English based companies into the Latin American market, including: translations to and from Spanish, calls on your behalf in Spanish, etc. We found this article about Hispanic marketing and the importance of appropriate translations that you may find interesting. Neutral Spanish: Spanish is the official language of every country in Latin America, except Brazil, and we ensure that our translations are understood by every Spanish speaker as we use -unless we are translating very specific marketing material for certain countries, where we will incorporate the country´s language nuisances – what is called “Neutral Spanish”. If you wish to read further about this please see the FAQ page. If you require Spanish to English translation services, we also accurately translate any Spanish variety into English to accommodate your particular needs. 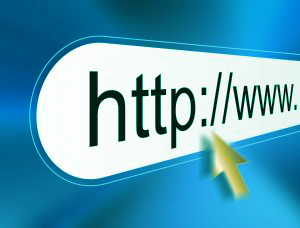 If you need to find information on the internet that can only be read in Spanish, we can help you with this too. Once you have decided to translate your website, it is probable that you will think not all pages are worth being translated. Although we recommend that you translate the entire website, it may be sufficient to translate only the most important pages in order to highlight your international services. We prefer to receive the content that requires translation with all encoding or markup languages removed (in .txt, .doc, .rtf, etc. ), as otherwise the process is more time consuming and requires an additional quality check, resulting in a more expensive fee. Website localization is the process of modifying an existing website to make it accessible, usable and culturally suitable for a new target audience. High quality presentations are fundamental when trying to get prospective clients interested in your proposal, or making sure the audience fully understands all your arguments. Not only is the content important, but also the form. If your presentation contains mistakes, or if the style is weak and it looks like a `too literal´ translation from the source language, be it Spanish or English, your audience can become disengaged. 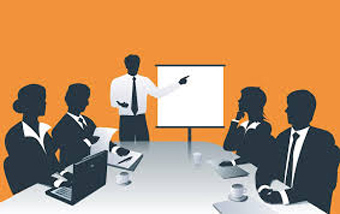 Worst case scenario is that the quality of the poor presentation becomes a reflection of the company. We make sure that all texts read as though they were originally written in the target language, and that all data and information are localised. We can translate or check and improve your presentation´s text, collaborate during the writing process and offer suggestions about how to adapt your presentation to Spanish speaking clients / directives / audiences. We also offer a service to translate your emails. If you need to send emails to Spain or Latin America, we translate your text, fully respecting the message and make it sound both natural and professional. Together we can set a fixed number of words to translate in emails, and every time you reach that number we invoice your company, so there is no need to pay for the translations individually.